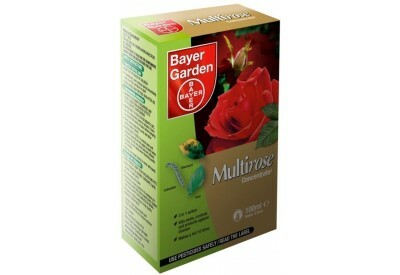 Bayer Garden Multirose Concentrate2 makes up to 10 litres of pesticide. Multirose Concentrate2 is a spray containing a systemic fungicide to protect your plants from diseases so they are healthy and beautiful. It contains an insecticide which kills Greenfly, Blackfly, and Caterpillas on roses and ornamental garden plants, also tackling Mildew. 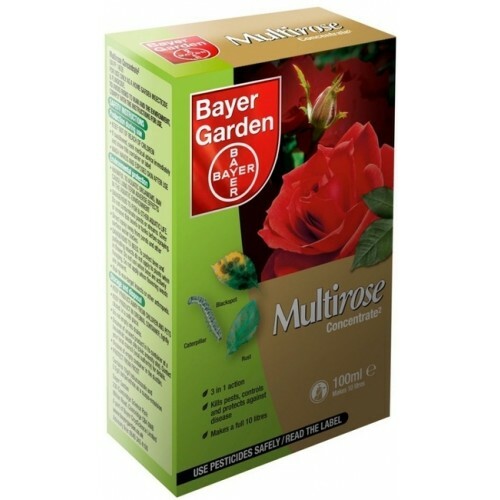 Multirose Concentrate2 is highly concentrated, so you only need to use a small amount to treat the same number of plants! This also means less packaging and transport required. By using it as part of a regular programme, you can ensure your plants stay healthy and productive.